Like an episode out of the old TV show ‘Get Smart’, Putin gave out bags of USB drives and telephone chargers at the recent G-20 summit in St. Petersburg. The devices were designed to download the users’ information and pass it to the Kremlin. Hey, what’ a former KGB agent to do anyway? Get ‘old school’ on you, of course! Apparently, America isn’t the only country to spy on neighbors and world leaders. Russia gave out goodie bags filled with USB drives and telephone chargers at the recent G-20 summit in St. Petersburg — but the devices were designed to download the users’ information and pass it along to intelligence agents at the Kremlin. The spy mission went forth at last month’s gathering of world leaders — at the same conference where President Obama and President Putin supposedly warmed their frosty relations, The New York Post reported. The crafty plan was first reported in Italian newspapers on Tuesday. It was discovered after European Union President Herman Van Rompuy followed an instinct about the devices in the bling bag — and about the red-and-blue “Russia G20” logo they touted — and asked intelligence experts to check them out. German security experts said the three-pronged phone chargers were actually capable of tapping into emails, text messages and telephone calls. 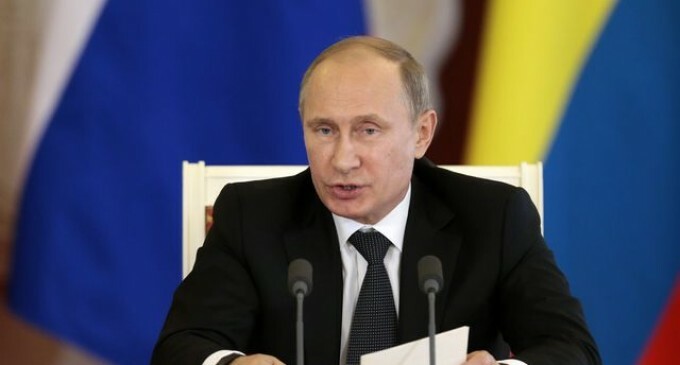 The USB thumb drives were a “poisoned gift” from Mr. Putin, the Italian newspaper opined. All delegates at the summit received the bags. But it wasn’t clear if leaders actually used the items, The New York Post reported. It isn’t very funny when it happens to you!!!! Obamascare isn’t funny when it happens to you, too. With a name like Barack Hussian Obama, you would expect him not to like Muslim Dictators better than anyone in the world ? Obama hates the United States, the Constitution of the United States, and Christians. Obama hates Human Rights and Freedoms. Obama and our CIA are supporting, financing, and training the Al Qaeda. The United States is a Muslim Nation. We are murdering people with a Drone and Covert War in Africa, Asia, and the Middle East to make our NSA and our CIA stronger. Obama and our CIA almost had us bombing Syria for the children. Our Senators and Representatives where fine with that. Obama is making a secret nuclear deal with Iran and our Senators and Representatives act surprised ? Lol …..and the cone of silence!